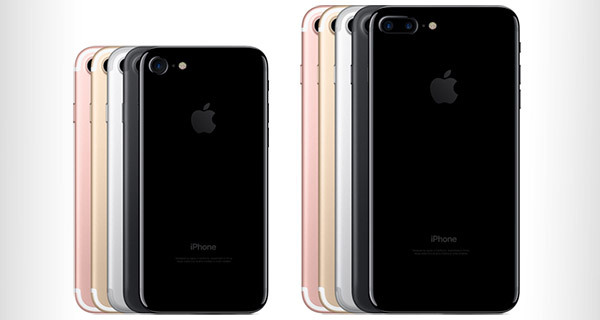 Apple is aware of, and is already investigating, claims of iPhone 7 and iPhone 7 Plus handsets which are refusing to obtain a cellular signal once they have been taken out of Airplane mode, according to a new report. The company is swapping out handsets which exhibit the issue, and there does appear to be a workaround in place should an immediate swap out not be possible. The report claims that some iPhone 7 and iPhone 7 Plus handsets are being put into Airplane Mode as per normal use, but when the mode is toggled off, the iPhones are then simply reporting “No Service” rather than reconnecting to a carrier. This leaves the iPhone without access to the Internet or telephony, which are essential to its ability to function. While Apple is asking users to restart their device in such an instance, and if that doesn’t work then remove and re-seat the SIM card, the company does appear to have stocks of iPhones in its stores that are held back for warranty replacements such as this, so if you’re impacted it might be worth taking your iPhone in to Apple rather than persevering with it. All of a sudden today my iPhone 7 Jet Black model started not getting internet service — can’t make outbound calls or receive calls — even though it showed 4 bars. I then put it in Airplane Mode, and back off, then it showed no service. It got pretty warm in the top right hand corner. Would’ve been more exciting if it were to explode! Shows again to wait a month or two before buying the phone in question. Wait for the bugs and problems to be ironed out. I suspect this is an ATT problem. I got my iPhone 7 yesterday (no hissing BTW). Before I even turned it on I took the old sim out of my old iPhone 6 and dropped it in the 7. It said it was activating but then said no service. I rebooted a few times. No luck. So then I took out my old sim and used the one that came with the new phone and it worked right away. I am looking at my ATT account online and it still shows I am using an iPhone 6. Long story short, I think ATT has created a mess with activation and I suspect the guy in this video is impacted by that. That doesn’t explain the issue when toggling airplane mode. Hopefully for owners it’s just a software problem. I had something similar happen on my 6+ where service just dropped out completely. It shows (TMobile) connectivity but no service. Was on iOS 10. Had to restart to fix it.